The Last Electro Acoustic Space Jazz & Percussion Ensemble "Miles Away". W opinii asfaltshop.pl najlepszy jazzowy album Madliba. Okładka z grubego kartonu typu "mini-LP" - gatefold (składana) plus wewnętrzna koperta na CD! As Yesterdays New Quintet dissolved in 2007 the collective was expanded under the name “Yesterdays Universe,” out which The Last Electro-Acoustic Space Jazz & Percussion Ensemble became the first to release music with Summer Suite (Stones Throw, 2007). 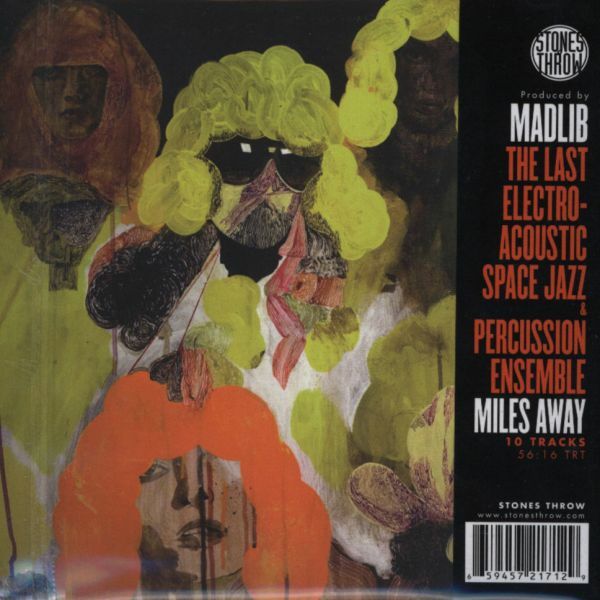 Miles Away is a jazz fusion album, produced & arranged by Madlib, which has been tweaked and revised for over two years when it was first announced. Look for more of Madlib's Yesterdays Universe releases to follow in 2010.